Canine aggression. The uncomfortable truth. Barking. Growling. 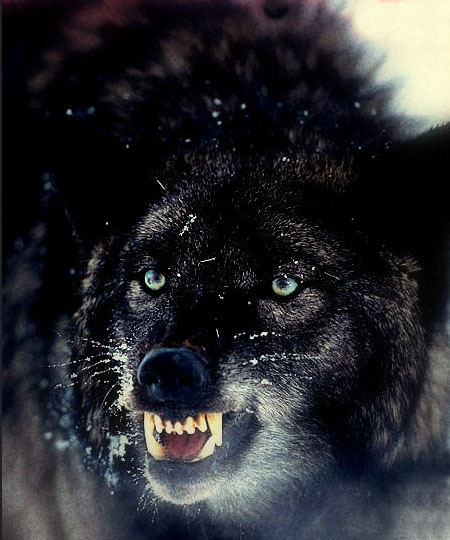 Snarling. Lunging. Biting. Brawling. These are just some of the aggressive behaviours that all dogs are capable of displaying in certain situations. They are behaviours we both fear and loathe; yet they’re a reality of canine life. In the aftermath of a canine display of aggression, most people are likely to blame breed, ‘breeding’, temperament, the ‘other dog’ or the ‘other handler’ – anyone but themselves as the cause of this event. However, the uncomfortable truth is that sometimes it’s us – the well-meaning owners, carers, handlers and general custodians of our canine friends – who are responsible for triggering these behaviours. So why is this sometimes the case, and when it is, what can we do to avoid and prevent such displays? 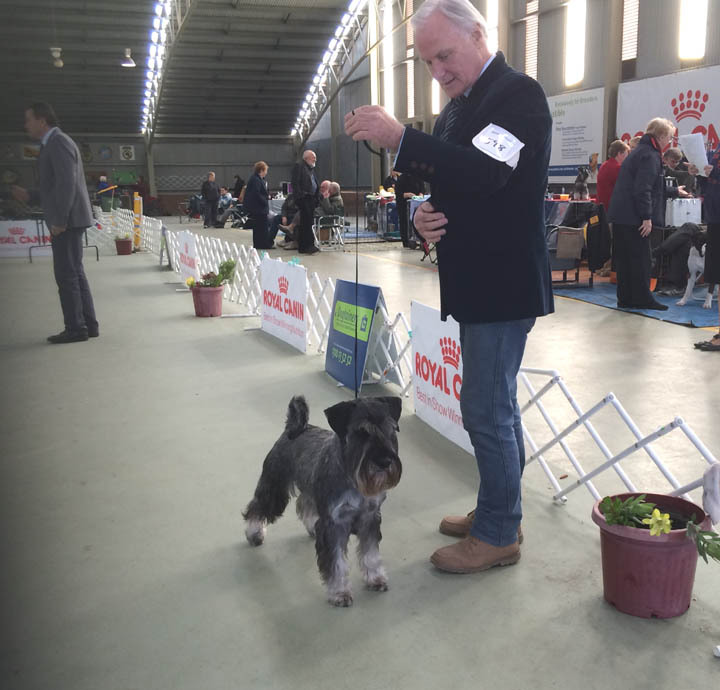 In terms of the life of a show dog, it should first be acknowledged that we place our dogs in a number of highly artificial and potentially stressful situations. From walking past numerous dogs restricted by leads, pens or crates to standing in close proximity to other ‘strange’ dogs in the assembly area; from running around a confined space with dogs in front, behind or alongside our own dogs to submitting to a physical inspection by an unfamiliar judge; if you consider these situations from our dog’s point of view, in so many ways they are subjected to multiple risks, threats and unknown variables. However, from our point of view, this netherworld of canine uncertainty full of fear and anxiety can be difficult to imagine. After all, when we attend a dog show, we rarely worry about our physical safety when entering the show grounds or competing in the ring. As a result, our physical self-defense mechanisms are not needed. We might not agree with a judge’s decision, but responding with physical aggression never usually enters the equation. Since we don’t share a natural empathy with our dogs’ experience of these situations, it’s up to us to learn what triggers our dogs’ aggressive behaviour and what we can do to prevent it. This means not simply relying on our natural instincts, which when faced with aggressive behaviour, causes us is to resort to loud verbal reprimands and physical restriction. Before I outline what we should do instead, let me share a common anecdote that I frequently hear from other dog handlers. In the course of delivering dog-handling lessons, I’m often told by attendees that, when left alone in the car, their dog ‘guards’ the car and becomes quite aggressive when another person or dog approaches it. I don’t believe this rationale is entirely accurate. That is, I don’t believe the dog could care less about the car itself to the point of investing in its ‘defense’. Rather, my interpretation of this behaviour is that dogs treat cars as a kind of ‘mobile’ den and, if an uninvited intruder approaches, because there is no way out, their only available defense mechanism is to warn the invader to ‘back off’. However, if the back door or other ‘exit’ route was left open, then the dog would have a ‘retreat’ option and not be forced to ‘stand and deliver’, as it were. In other words, the lack of an escape route invokes the classic behavioural maxim of ‘fight or flight’. With no opportunity to flee in such a situation, our dog has no other option than to ‘fight’. The same principle applies when we secure our dogs by leads or in crates or pens at a show and other strange dogs approach them either directly or in passing. Deprived of a ‘flight’ option, the only defense left to our dogs is to ‘fight’, which leads to the aggressive barking and general agitation that is so common at dog shows. Essentially, this kind of aggressive behaviour is all about the ‘trapped’ dog warning any perceived or potential threat to not come any closer. As I mentioned earlier, when this happens, most handlers/owners attempt to redress this situation by verbally chastising their dog and even banging on the dog’s pen or crate. These actions are precisely the opposite of what is required. What we should be doing is providing a calming response that reassures our dog that there is nothing to fear, which is the precise opposite of agitating the situation by raising our voices or applying unnecessary physical restraint. These responses only reinforce the sense of fear, stress and anxiety that drives these behaviors in the first place. Likewise, the very same principles apply when it comes to being approached by another dog while on the lead. Again, confronted with a possible aggressive canine altercation, our innate human reaction is to pull our dog away from an anticipated conflict, which, more often than not, is the direct opposite to what this circumstance requires. This response, while well meaning, immediately puts two actions into play. Firstly, it communicates to our dog that they’re restricted and can’t escape the oncoming ‘potential threat’ so must warn it off by barking or growling. Next, the other dog is now on alert, and what might’ve been no problem at all, suddenly has all the makings of a potential major incident. Stand still withyour dog before entering the ring. So, in summary, the worst thing we can do when our dog is in a restricted situation is to verbally or physically remonstrate with them. As the ‘top dog’ (and, as I have gone to great lengths to explain in previous articles, I mean this in the sense of being a benevolent not a dominant leader), it’s up to you to by example by remaining calm and reassuring your dog with soothing voice signals, and avoiding the temptation further physically restrict your dog. While the risk of canine aggression cannot be entirely eliminated, adopting these simple techniques will go a long way to ensuring that you’re not part of the problem.